What to Look Forward to in Baltimore in 2015? As a new year in our beloved Baltimore has begun, we are eager to share some exciting activities and new places to explore. We have highlighted a few of our favorites for this year. If you have time while in Baltimore, you should mark these on your calendar! Absolutely Febulous. From February 15th-28th, Baltimore restaurants, hotels, attractions, and museums are offering their best deals of the year. 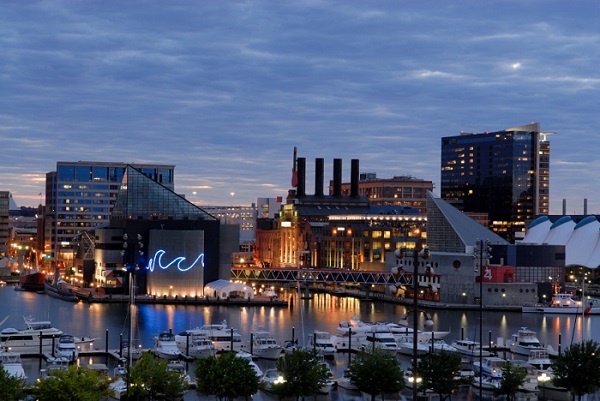 Shake off the winter blues by exploring the best that Baltimore has to offer! Find the best deal for you during Absolutely Febulous. Opening Day. The magic is back! Head down to Camden Yards on Friday, April 10th to cheer on the Baltimore Orioles as they take on the Toronto Blue Jays in their home opener. Help the Orioles set the tempo for another great year! Preakness. Join Marylanders and visitors alike on May 16th, as they enjoy a full day of horseracing and live music during the second leg of the Triple Crown. The race starts at approximately 6:20 PM. If you enjoy live music and appreciate a good race, Preakness is definitely the place to be this spring. Artscape. Artscape is Baltimore’s free live music and art festival located near MICA, Baltimore’s premier art school. The festival draws over 350,000 attendees to a variety of entertainment options, including live music and an assortment of art exhibitions, throughout the three day festival. Do not miss this great event from July 17th-19th! Horseshoe Casino. Have an itch to play the slots? Well, check out the second largest casino in Maryland located in Baltimore on Russell Street. The Horseshoe Casino, which opened August, 2014, features table games as well as 2,500 slot machines (a few of them are even outside!). The casino also has a variety of high-profile restaurants and bars so there is something for everyone. This entry was posted on Wednesday, January 21st, 2015 at 7:07 pm. Both comments and pings are currently closed.